This week, we will be "Walking on Sunshine"! 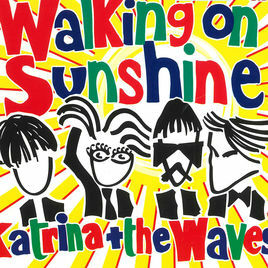 Katrina and the Waves dazzle us with this song written in 1983. It reached a very good position in charts in 1985, when the song was released for their album "Walking on Sunshine"
The song is an overflow of energy and it invites you to start your week with the best predetermination as possible.